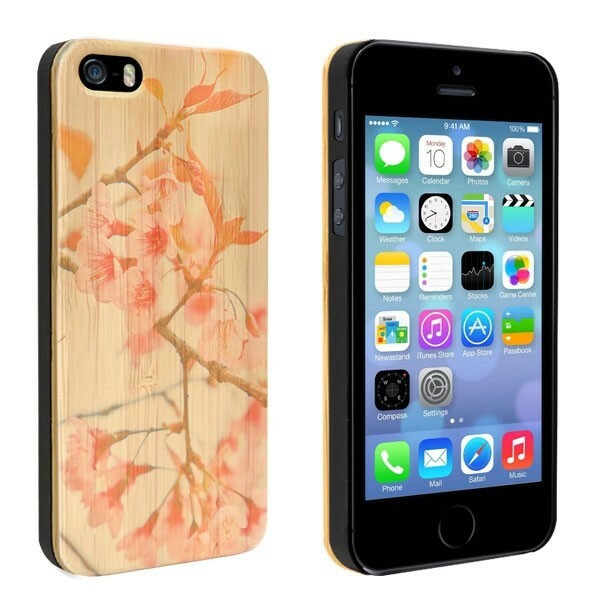 Wooden cases don't only have to be elegant, but can also be customized! Your photo or design printed with UV on a bamboo surface. Semi-transparent print which gives your case a unique look and feel. 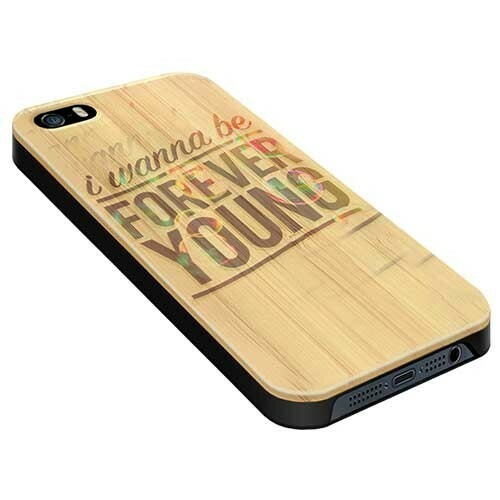 Personalised wooden phone case from GoCustomized. 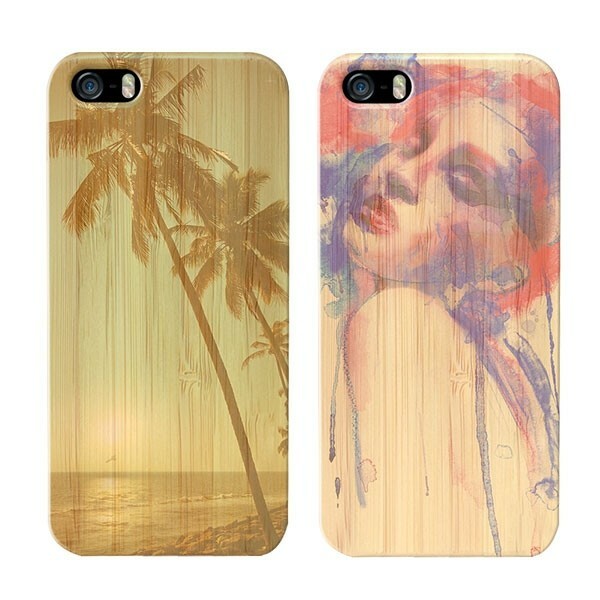 GoCustomized had created the ultimate wooden bamboo hardcases for your iPhone 5(S) or SE. the wooden back gets printed with your design. the print is semi transparent, which makes sure of unique wooden look. the case has been made in such a way that you can fully enjoy it, the openings have been specially made so you can access your buttons and plug in your charger or headphones. The images get printed directly onto the wood en get a scratch resistant layer, so you get a nice permanent result. Looking for something more functional? Check out our personalised iPhone 5(S) or SE wallet cases and many more! How do I make one of these cases? Just like all the other cases at GoCustomized you use a design program which makes it very fast and simple for you to get your desired result. You can directly upload images from Facebook, Instagram or from your hard drive. The better the quality of your uploaded image, the better the quality of your end product. How is my wooden phone case made? Once you are happy with your design, you can order your case. The image will be printed with high quality onto the wood.Because the back has been made out of bamboo wood, the image gets printed transparently, so you get a unique effect. Once your case has been produced ik will be sent. When you order on a working day your product should be shipped within 24 hours.